Mother, Amba, with one of the female tiger cubs. 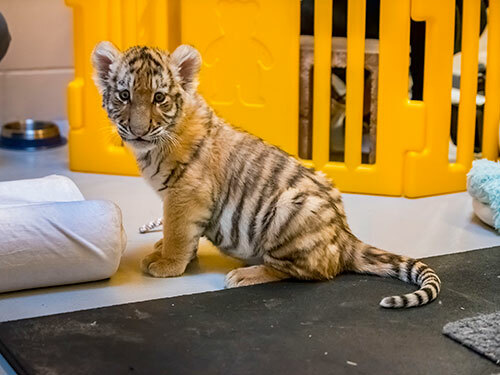 The Milwaukee County Zoo’s three Amur tiger cubs made their public debut Dec. 2 in the Zoo’s Florence Mila Borchert Big Cat Country. The cubs, one male and two females, have been named: Kashtan, Eloise and Bernadette. They were born Sept. 14 to mother, Amba, and father, Strannik. While all three cubs are doing well, Kashtan was transferred to the Zoo’s Animal Health Center in October, as he was not gaining weight steadily, and he developed an abscess on one of his legs (possibly due to a lack of immunity). The vet staff cultured and flushed the abscess and he was given a course of antibiotics; he returned to Big Cat Country Oct. 24. But because Kashtan had an infection and there can be many unknowns in reuniting him with mom after so much time passed, staff determined there were too many risks to putting them back together. 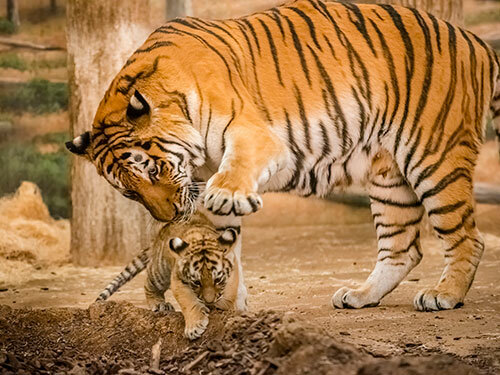 Female tigers also have the potential to injure offspring if reintroductions are attempted. 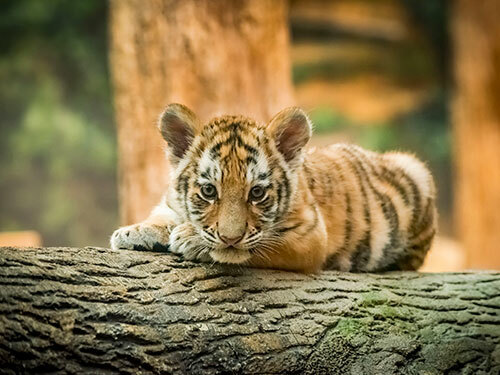 The primary concern of the Zoo’s animal care staff is to avoid any risk of injury to the cub. Zoo visitors can see Kashton singularly in one of the indoor exhibits in Big Cat Country. 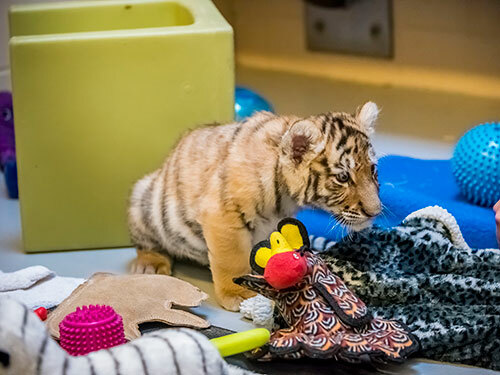 While still a cub, at times, zookeepers will be in the exhibit with Kashtan, offering him interaction, socialization and feedings, as part of the hand-raising process. The exhibit will also feature enrichment items (objects that allow him to show his natural behaviors), which are important for his neurocognitive and physical development. As all three tigers learn how to become adult tigers, they need to interact with a variety of toys/enrichment items. If you’re interested in purchasing any of these items for the cubs, please visit our Amazon Wish List. 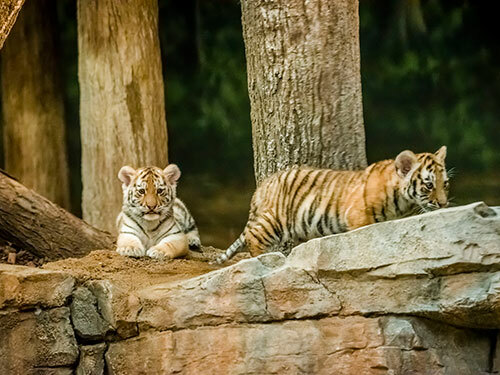 As the cubs grow and mature, the exhibits in which they’ll be displayed may change on any given day and time. As with all of our animals, their welfare is our first concern. Visitors will be able to see them on exhibit in the Big Cat building during regular Zoo hours, whether it be Kashtan and his siblings on display, Kashtan alone, or Bernadette, Eloise and Amba together. 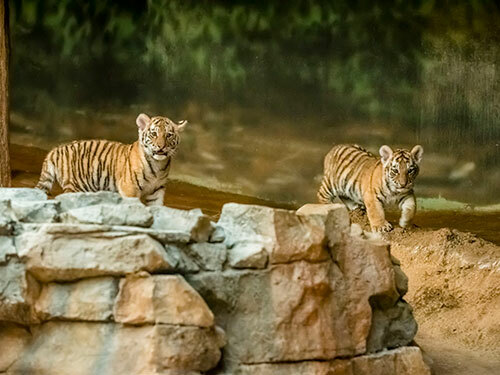 Exhibit times are variable as zookeepers monitor the cubs and Amba for their continued well-being.